Despite the popularity of Thai cuisine around the world, Bangkok has always found it hard to be taken seriously as a cosmopolitan food destination. Locals and travellers alike enjoy pad thai and tom yum goong, but Bangkok lacked the variety, quality and consistency that respected Michelin Guide inspectors traditionally looked for. The arrival of the red guide in the City of Angels attests to the dramatic changes in Bangkok's culinary landscape over the past few years. On December 6, the jovial Michelin Man distributed a total of 20 stars at a crowded ceremony: 14 one-star restaurants made the list while the list of about 400 two-star restaurants in the world grew by three. No three-star restaurants were named for this first edition in Thailand, interpreted by many as leaving some room for growth in the years to come. 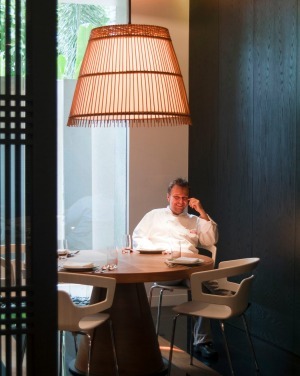 J'aime by Jean-Michel Lorain and Savelberg are two examples of restaurants that had placed their bets on Michelin coming to Thailand. Jean-Michel Lorain's Cote Saint-Jacques in Joigny in the heart of French Burgundy country has had at least one star since his father first appeared in the guide in 1971. Over the last 35 years, Dutchman Henk Savelberg headed four different establishments in the Netherlands that each earned a star. Both decided to bring their years of experience and their brand of classic fine dining to Bangkok long before Michelin announced their plans to create a guide in the city. They sensed there was a demand for more sophisticated dining with a typically Thai sabai sabai (relaxed) atmosphere. Their bets paid off and they were each rewarded with their first star in Asia. Of course, fine dining these days isn't restricted to French food but, until recently, Thai food didn't receive the meticulous attention to detail that other cuisines might. That changed with the arrival of husband-and-wife team Duangporn "Bo" Songvisava (who earned an MA in gastronomy from the University of Adelaide) and Dylan Jones at Bo.lan, a contraction of their names and a play on the Thai word for "authentic" or "old-fashioned". They met in the kitchens of Australian David Thompson, arguably the most recognisable ambassador of Thai food in the world, when he was cooking at Nahm in the Halkin Hotel in London. With careful attention to traditional tastes and historical recipes, Thompson, Songvisava and Jones were pioneers in the early 2010s, and they opened the door for many others. Among those who followed were chefs Bongkoch "Bee" Satongun and Australian husband Jason Bailey. Bailey first lived in Thailand in 1996. "I wanted to dive in and be seduced by Thai culture," says Bailey when recalling his first steps in Thailand. The pool he chose to dive deep into was Thai cuisine. He trained with Thai chefs including Shakrit Dissadeed, whose family traced its roots back to the kitchens of the royal court. Back in his native Mittagong (NSW) he opened the highly-praised restaurant Classical Thai Cravings. Later, Satongun joined him and spent four years there. In 2012 they opened Paste in Bangkok. "With Paste, we cook traditional Thai food but we spin it just a tiny bit so it has the same taste but with more layers," says Satongun. "It's more refined than what they did in the olden days." But recognition didn't come right away. "It takes people time to understand what we do. The food we do here is still traditional but made with modern techniques. It's better, but more complex." As word spread, the restaurant became a favourite hangout for chefs, foodies and travellers in the know. One Michelin star is their reward for their hard work. But it's not all about luxurious decors and elegant plating. Michelin has gone out of its way to designate 35 "Bib Gourmands", which recognise "exceptionally good food at moderate prices". Half of those are street food. There are also 64 Michelin Plates, a new category "where inspectors have discovered quality food". A total of 28 establishments fall into the category of shophouses and street food. Before the ceremony, Bee Satongun was very honest about the pressure she felt. "I'm excited. And nervous. And stressed," she confessed before walking into the awards ceremony. "Of course as a chef you dream one day that you'll get a star. It's like you're the student and the teacher gives you full marks and recognise the good work that you do." Satongun passed with flying colours. Bo Songvisava and Dylan Jones are not only hugely attached to authenticity, they also campaign for sustainable practices and local produce. That extends to recycling cooking oil for soap or keeping coconut husks for pig feed for the pork they serve in the restaurant. Garima Arora is definitely a chef to watch. Her creative cuisine draws on her Indian childhood, her stint at iconic Noma in Copenhagen and inspiration provided by outstanding local produce. Expect the deliciously unexpected at every turn. 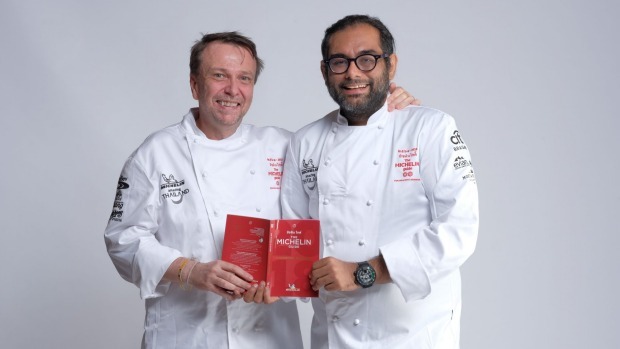 Larger-than-life Gaggan Anand needs to make room for another trophy. After winning top spot on the Asia's 50 Best Restaurant list for three consecutive years, his playful and innovative approach, which draws on everything from his love of Japan to his Indian roots, earned him two stars. Executive chef Amerigo Tito Sesti faithfully transposes the aura of the original Burgundian restaurant in dishes like quail and foie gras tourte​, and adds flavours from his native Italy and his new Asian home in a scallop and bonito risotto. Local legend Jay Fai has been producing wok-fired favourites single-handedly for more than 30 years. Locals pick curry powder crab and a stir-fry of young coconut shoots over the more famous omelettes and noodle dishes. This beautiful home serves delicious ancient recipes and food from southern Thailand, like deceptively simple pak miang greens with egg and garlic, or khao yam, an intensely fragrant rice salad. Book one of the gorgeous private dining rooms for a small party or a romantic evening. If there was going to be a three-star in Bangkok, quintessentially French Le Normandie was going to be it. In the end, it won a distinguished two stars, but rest assured that all eyes will be on chef Arnaud Dunand Sauthier to see if he can do even better when next year's list is announced. 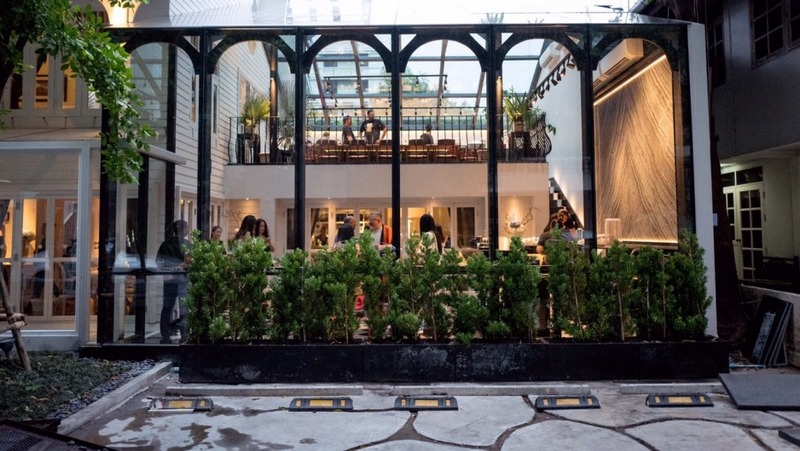 One of the questions ahead of the announcement was whether the rumoured imminent departure of chefs David Thompson and Prin Polsuk for new projects would prevent the restaurant from getting a much deserved star. The answer is no, but when asked about his plans for the future after the ceremony, Thompson smiled and replied, "Today is about Nahm." The management of the Metropolitan Hotel, where the restaurant is located, declined to comment. Watch for news in Bangkok's tallest building in the first months of 2018. Bee Satongun and Jason Bailey have delved deep into Thai history to make 17th century relish made with white pepper and early 20th century salads, and brought these little-known recipes right into the 21st century.A sweet river prawn salad is elevated with locally sourced spices like the Chiang Mai cousin of Sichuan peppercorns and flavour-packed seaweed powder, an example of old dishes with new twists. Henk Savelberg admitted that he couldn't sleep before the ceremony. He needn't have worried. The Dutch chef took home his fifth career star for his picture-perfect takes on French-inspired classics, like a cleverly plated lobster and foie gras salad. The wide cauldron of fragrant beef soup has been simmering at the front of this shophouse for the better part of five decades. Have it over the noodles of your choice noodles or with a side of rice. Also don't miss their equally heady, spoon-tender goat stew.